After installing the AIRBYTES Sub Logins / Sub Accounts Magento 2 extension, you will be able to create child accounts under a parent one which is the main account. Each child account gets its own login parameters, credentials, and access levels. Furthermore, sub logins can be restricted and orders created from them should be approved by the main account to be placed. And it is possible to set budget limitations per order, day, month or year for each sub login. These and other B2B features are described below. 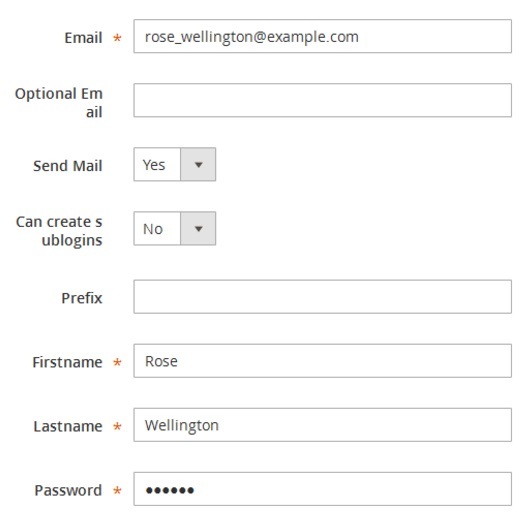 As you can see, the core feature of the AIRBYTES Sub Logins Magento 2 module is the ability to create sub accounts with unique credentials and selected limitations on the basis of the main account. Thus, one main account can include several employee accounts with full control over them – a very useful B2B feature. Note that sub accounts can be created from both backend and frontend. Besides, each sub login gets its own shopping cart, so if several sub login users shop simultaneously, the products they select are never mixed in the same cart. To inform further sub account users, the AIRBYTES Sub Logins Magento 2 extension sends email notifications with login credentials. Also note that it is possible to define expiration time for each sub account. Thus, an account can be automatically deactivated after the specified period of time. Address book restrictions are possible on the sub login basis. If you don’t want to provide certain sub accounts with addresses from the main account, the extension allows to implement the restriction. And as other AIRBYTES tools, the Sub Logins Magento 2 module supports data import via CSV. It meant that you can easily modify all the necessary data in a CSV file and then import it into the system. There are lots of other features, so we’d like to start the backend exploration. Let’s start with the configuration section. 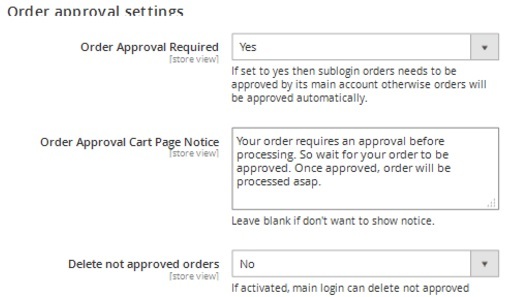 It allows you to restrict order view for sub logins, so they can only see their own orders in customer area. The same is about My Sublogin area restrictions – activate this feature to hide My Sublogins area from sublogins. As for the Enable Mainaccount Login feature, it allows main account to login to sub logins without passwords if enabled. 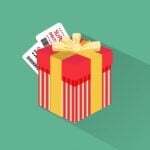 In Expire Interval, specify the amount of days a sub login account will be active after reactivation. 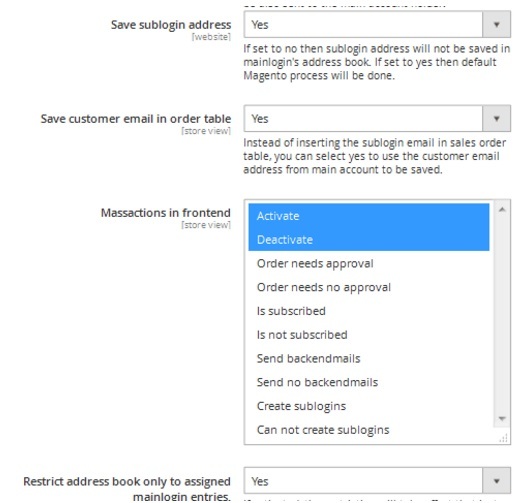 The next feature in this section allows to enable order notification for the main account when order is placed by a sub login. 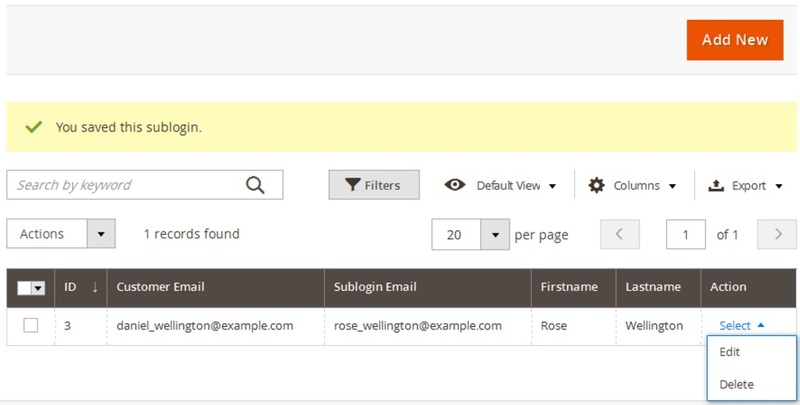 It is also possible to save sub login addresses in main login’s address book, replace sub login emails with email address from the main account in sales order table, select mass actions for the frontend, and restrict address book to assigned main log entries. 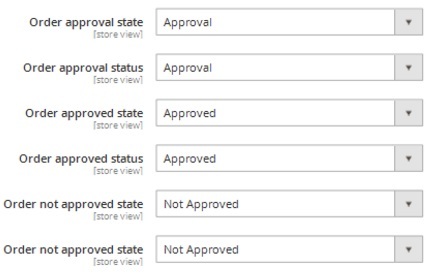 In Order Approval Settings, activate order approval by the main account, add an order approval notice for a cart page, and enable/disable automated removal for not approved orders. While creating a new sub login, select a customer and a store view and specify address information. 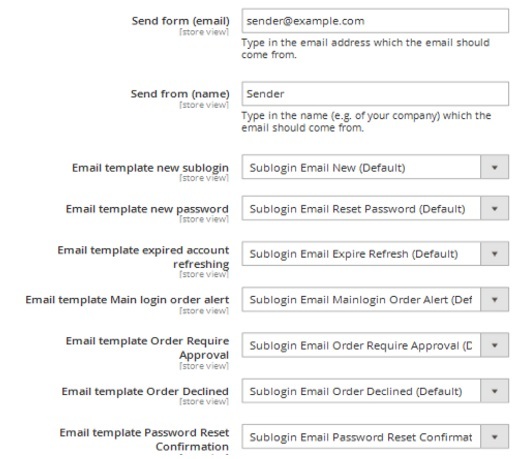 Enter email and optional email, activate email notifications, and allow/prohibit to create sub logins. Specify prefix, firstname, lastname, and password. 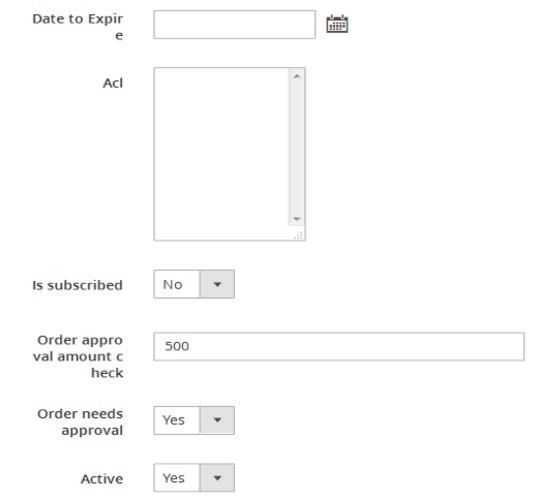 Select date to expire and ACL, activate subscription, specify order approval amount check, and decide whether each order needs approval or not. This is a grid with sub logins. Note that a customer account gets a new tab called Sublogins. 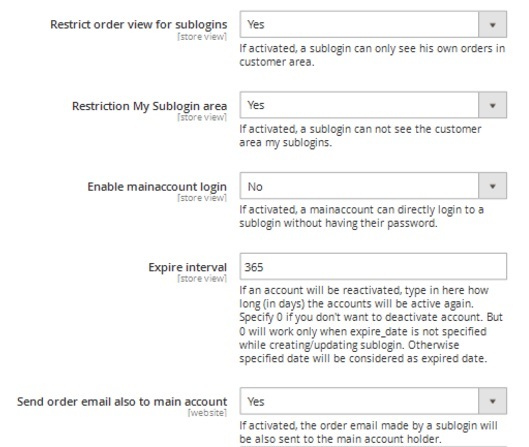 Here, you can allow a customer to create sub logins and set a limit on their amount. Optional Email can be entered right there. 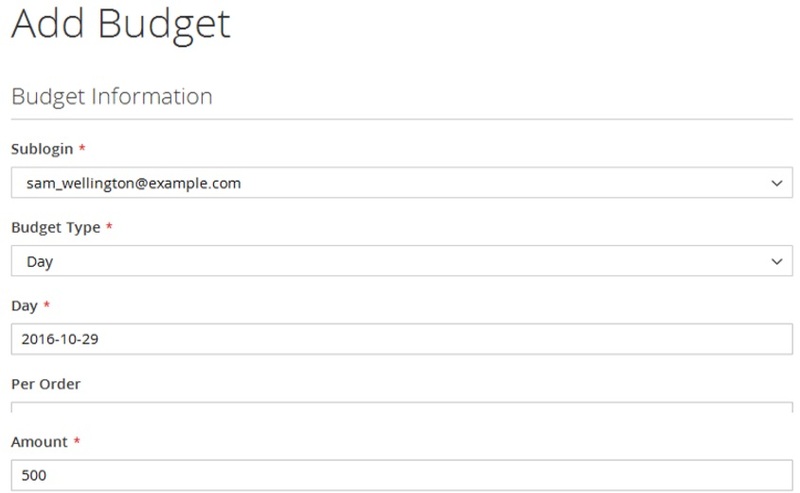 In Budget Information, select a sub login to apply the restriction and a budget type. 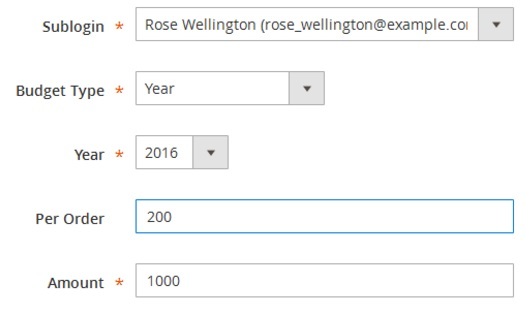 Next, specify limit per order and amount of orders per year. It is also possible to specify a yearly budget without without any limits on orders. From the backend perspective, AIRBYTES Sub Logins Magento 2 Extension is very simple: you configure the extension, create sub accounts, and set budget limitations, but how does it behave on the frontend? 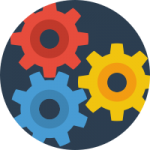 While adding a sub login from customer account, the extension allows you to specify address, email, and optional email as well as activate notifications and the ability to create sub logins. Next, add prefix (if necessary) and specify firstname, lastname, and password. Active (the sub account can be deactivated here). All sub logins are gathered in a grid and can be deleted or edited. There are also some shopping cart-related improvements. For instance, a sub login user gets a message informing him or her about the necessity to approve the order. The AIRBYTES Sub Logins Magento 2 extension adds a very important B2B feature. 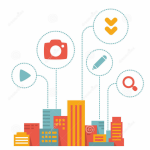 Install the module, and you will provide your business partners with the ability to create fully controllable sub accounts for their managers. This functionality is crucial for most B2B websites, buy the default platform doesn’t provide it, so the only way to solve the problem is to install the AIRBYTES Sub Logins Magento 2 module. 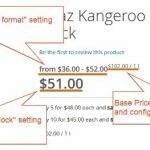 The price of the Magento 2 tool is € 899, but it is worth this money.